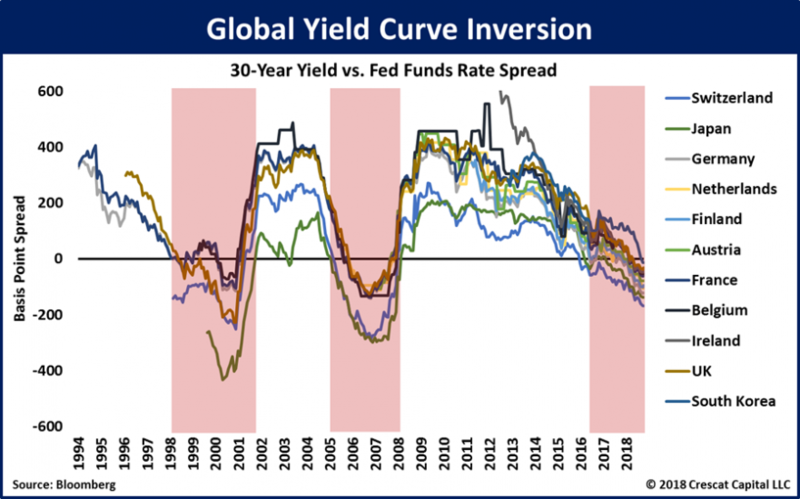 Today’s global yield curve inversion looks just as concerning as the ones that preceded the last two market crashes! We now have 11 economies with 30-year yields lower than the fed funds rate. South Korea just joined the pack last month.